Lana is the Marketing Manager for JohnHart. She is energetic, creative, and fiercely passionate about cultivating a desirable real estate experience for our team and clients. 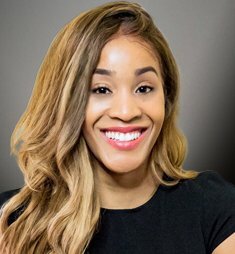 Lana has an educational background in law as well as 10 years of experience in real estate construction, development, acquisition, and marketing. She has been instrumental in orchestrating luxury events, business coordination, and sales & marketing within the real estate industry. Lana excels in communication; enjoys exposing opportunities through creative marketing strategies including events, media, and public representation. It has always been Lana's goal to pay forward her success by staying active with various causes and nonprofit organizations including disadvantaged youth, individuals without a stable home, and victims of abuse. As the Marketing Manager, Lana's goal is to continuously participate in the elevation of the brand, accurately displaying the integral, passionate, and ethical core values that JohnHart stands for.